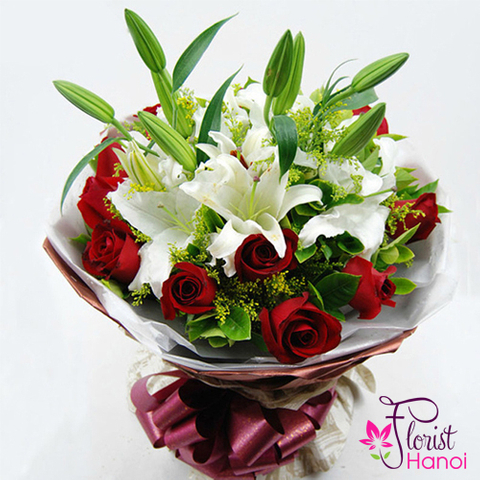 Put a twist on the traditional rose bouquet with pink lisianthus and lush green leafs. 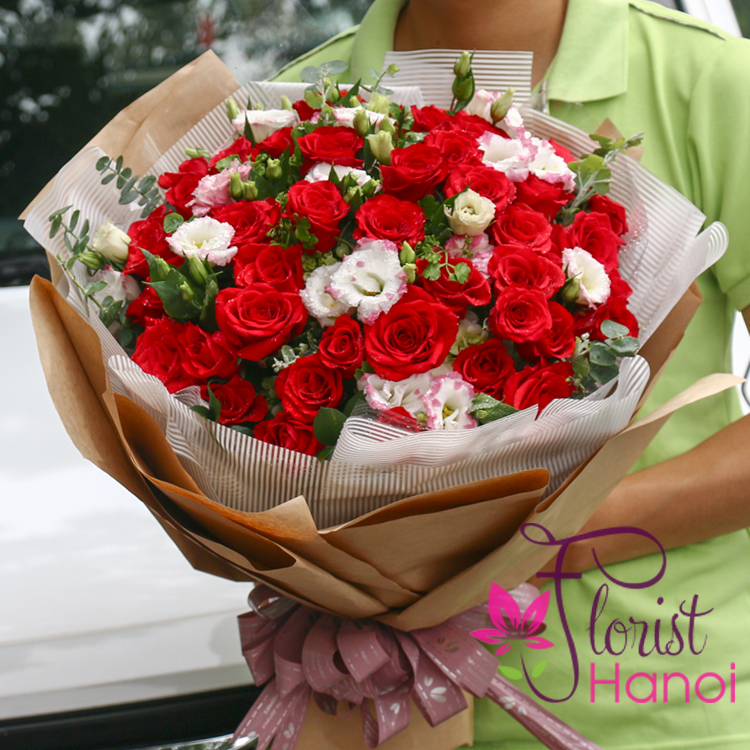 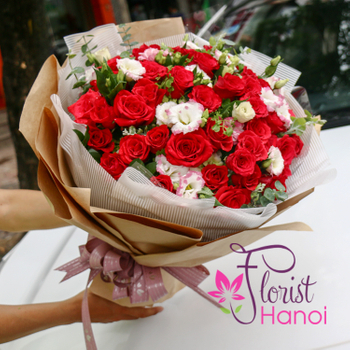 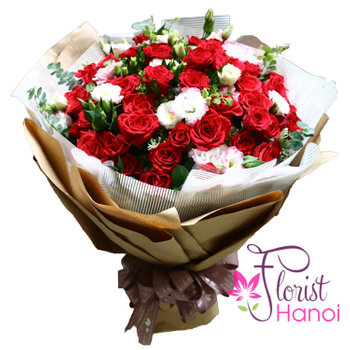 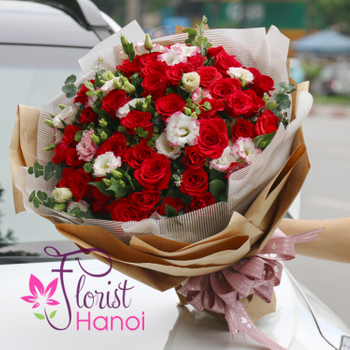 Our beautiful love flowers bouquet offers more than dense, red blooms. 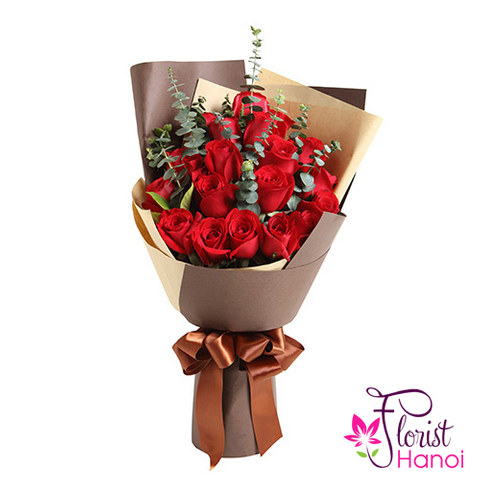 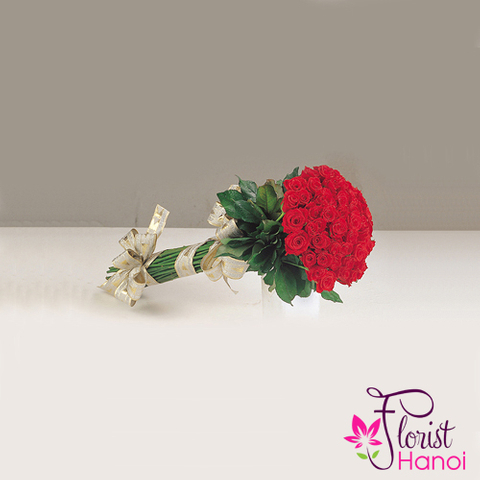 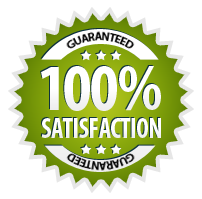 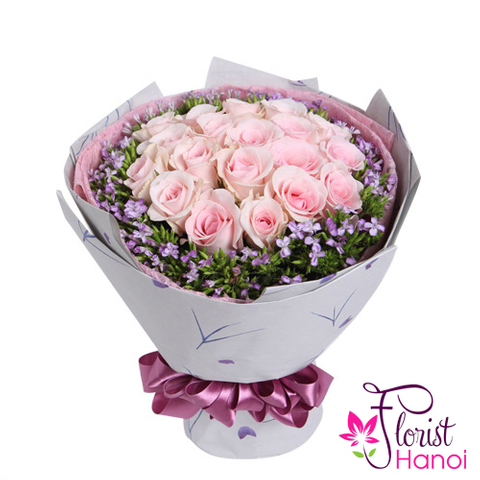 The bouquet is also wrapped in natural hessian material, providing a richness that other rose bouquets simple don't offer. 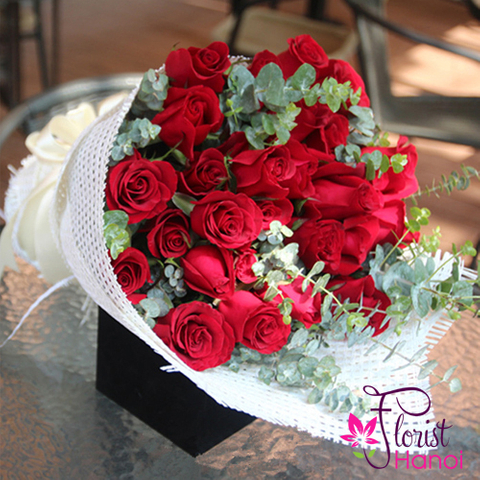 This is the perfect gift for the nature-lover in your life, with premium red roses surrounding by lisianthus and seasonal floliafe. 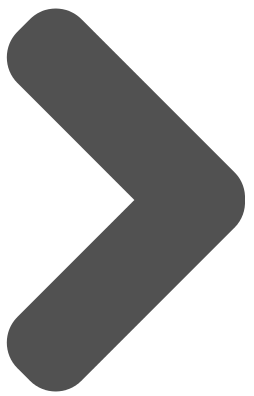 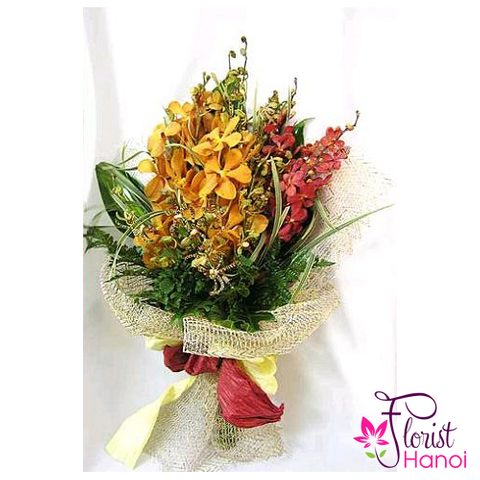 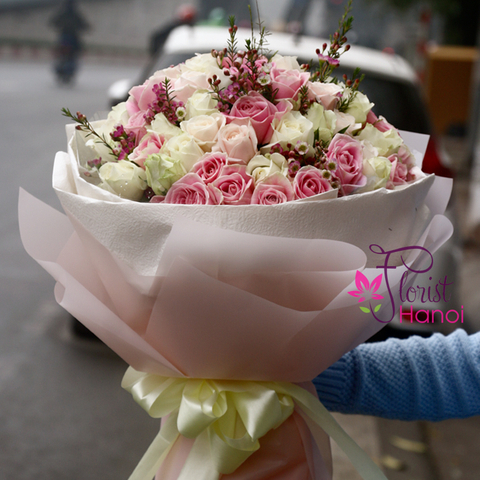 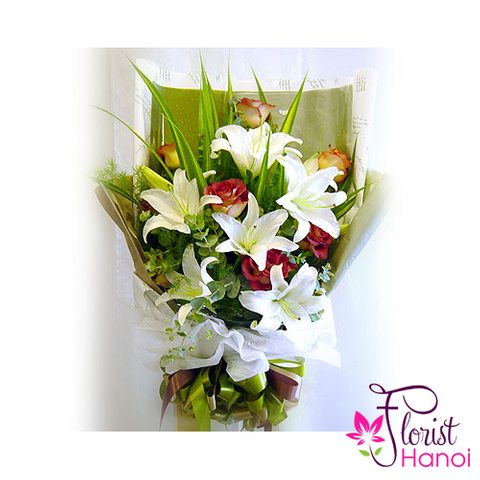 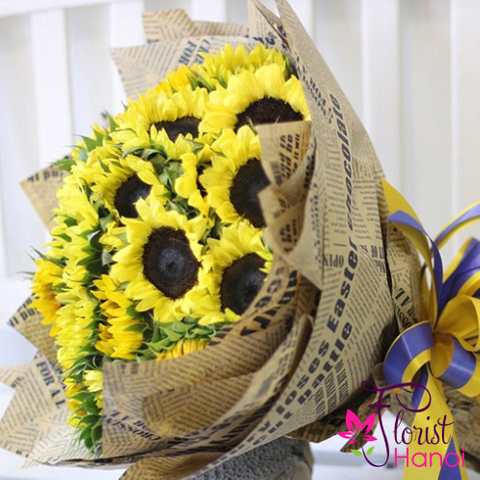 Send the bouquet to welcome a new baby or happy birthday to show your significant other that you are thinking of them.